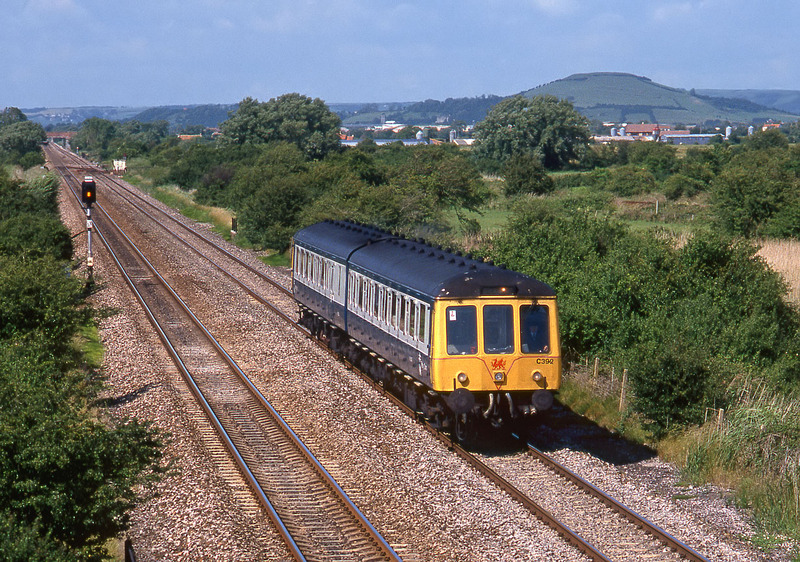 C392 (51147 & 51134) passes Puriton on 2 July 1990 with the 13:13 Worcester Foregate Street to Taunton 'all stations' service. Brent Knoll is the unmistakable hill in the background. This unit was withdrawn from service in May 1993, but unlike a lot of its classmates, has since passed into preservation, currently residing at the Swansea Vale Railway. Obviously a fitting location, as there is no mistaking in this view that this is a Welsh DMU!